I read this article and found it very interesting, thought it might be something for you. 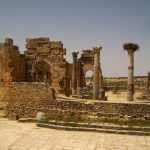 The article is called 15 Best Ways to Enjoy Holidays in Morocco and is located at http://trip-n-travel.com/listicle/22433/. You can visit Atlas mountain and enjoy hiking, climbing,trekking and many other entertainment activities all at one place. This place is very close to nature and beautiful landscapes and sceneries attract a large number of tourists to Atlas mountain every year. Nearby Berber village is also worth watching and it gives a look of the traditional culture of people of Morocco. 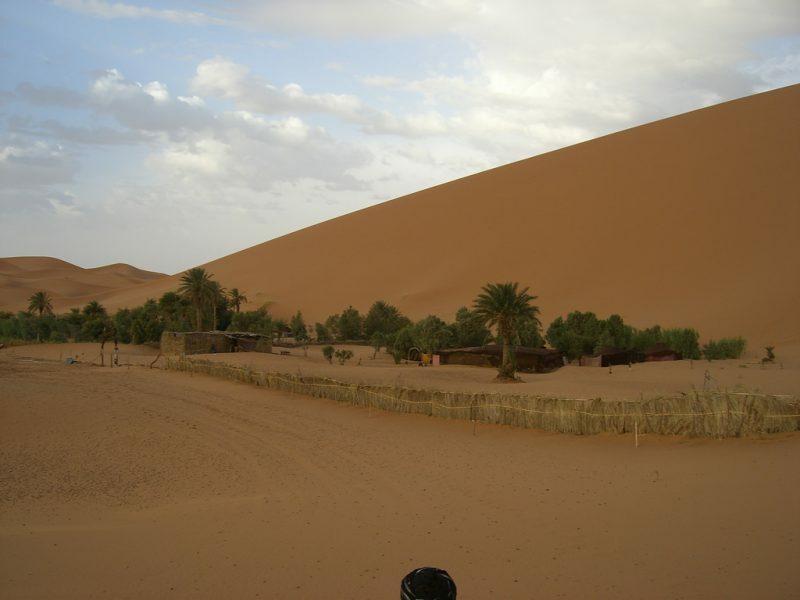 You can reach the Sahara desert either via self-driving or through an excursion tour and enjoy the sand dunes and hidden oasis. There are many unexplored aspects of this desert which you can find by riding on camel or horse. Other reason many people came to visit this desert is that it is very much famous around the world. 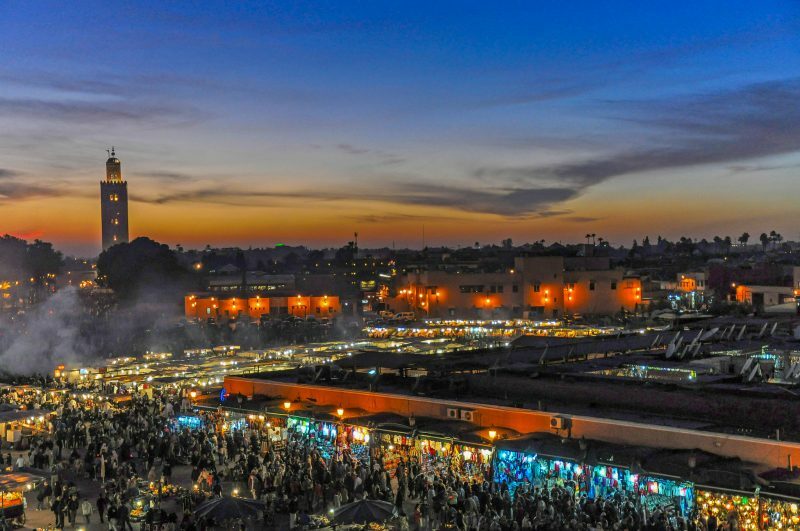 The bustling city of Marrakech is famous for its colorful markets, spice-scented souks and mosques etc. other attractions of the city includes snake charmers, belly dancers, and cafes located at the pavements in Moroccan fare. 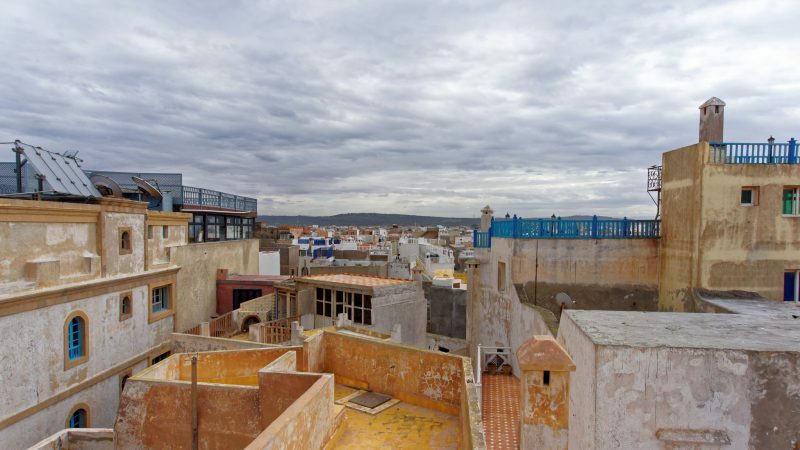 In other words, it can be said that Marrakech is a city which has a traditional and modern culture all at one place. Situated near the Atlantic ocean Agadir has a coastline of more than 6 miles and it is most famous beach destination of Morocco. Agadir was a vibrant city which was established early in 60’s and it has a number of places and destinations which are worth watching. Some of these include Souss Mass National Park, Wallabies park, and Kasbah Fortress etc. 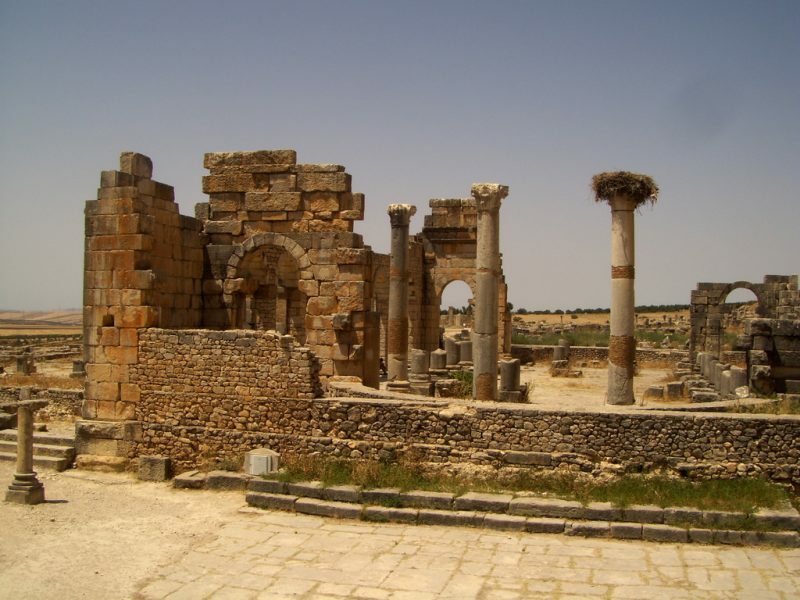 Volubilis is a Roman city of Morocco. It is a good and famous trading center. In the second century AD, the city was blessed with a great number of tall buildings. Some of these buildings include temple, basilica, triumphal arch etc. There is not much crowd in this city, therefore, tourists can easily enjoy the structures of the city. Various parts of the city are unexcavated therefore the visitors of this place enjoy this place without the rush of people. This city is the most popular city of Morocco and because of its great food, it is the favorite place for many tourists. The fresh sea air and fresh fish are enjoyed by the people very much. The amazing fish market in the town is the main attraction of this place. It is a great place to enjoy the daily meals at a low price with the family and friends. There are many places in Morocco, that attract many tourists who visit the beautiful place and Medinas is one of them. Medinas is blessed with a good collection of schools, churches etc along with healthy environment and families. Though it is a small town, but the beautiful streets which consist of amazing shops, markets, restaurants etc are liked by the visitors very much. This place is not less than heaven for those who love getting lost. The mint tea of Morocco is very refreshing. 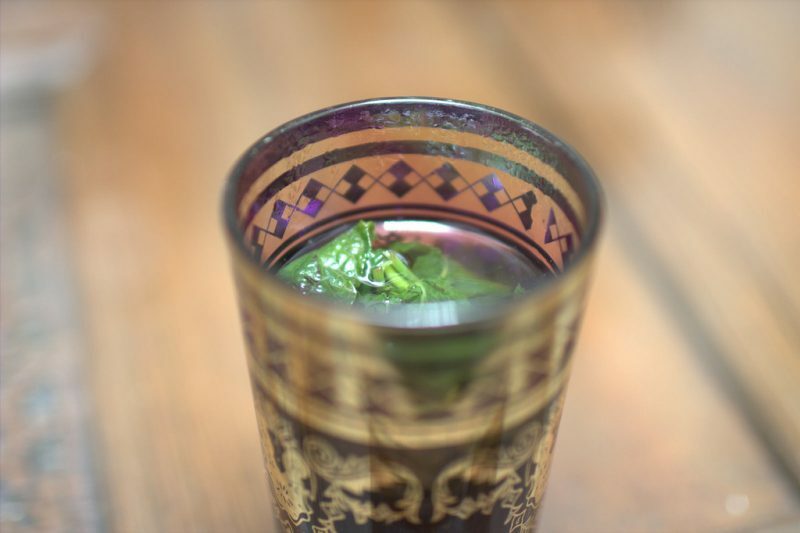 If someone is spending a holiday in morocco then he must drink the mint tea daily as this tea is a treat for the tongue. This tea is served in a good pouring style, large height pots are used to serve the tea properly. Tourists enjoy their minty sugary tea in morocco while sitting in the tea shops. 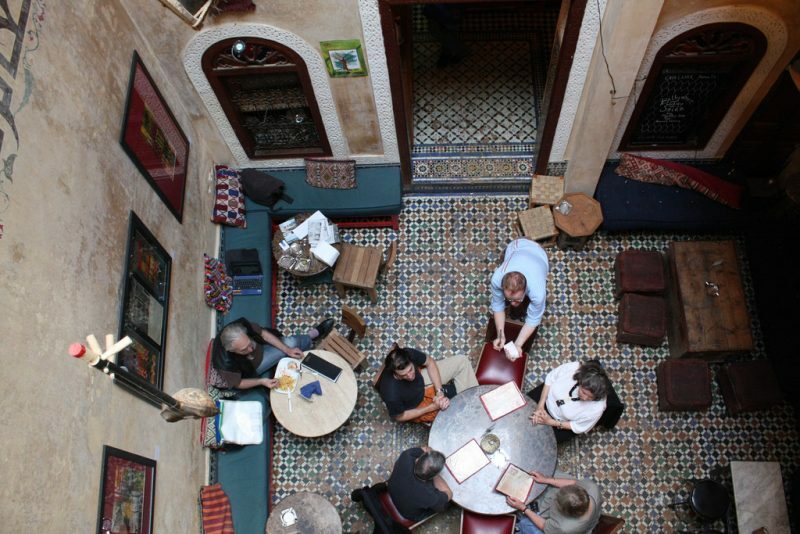 The perfect food places make the holidays special and holidays in Morocco can be made special with the help of cafe clocks situated in Marrakesh. The tasty camel burger and buttery chicken are the specialties of this place. The food of this place is amazing. It is a good place to enjoy tasty meals with family during the holidays in Morocco. 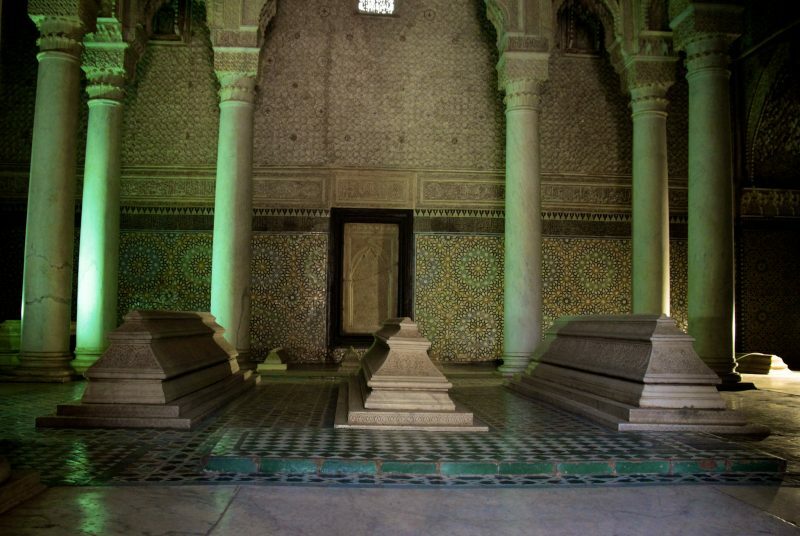 It is a cultural place of Morocco. It is true that this place is not occupied with a huge number of tourists but this does not mean that this place is not liked by the tourists. 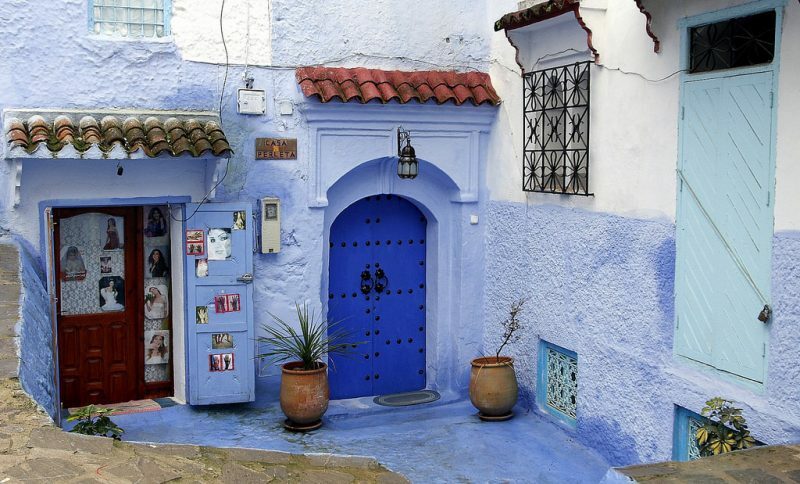 This place is a perfect place for getting lost in the beauty of Morocco. Stinking tanneries are also part of this place and are enjoyed by those who can handle the strong smell. It is a well-known fact that the process of sun rising seems very quick in the deserts. The scene is beautiful as there is flash pre-dawn green followed by the yellow color of the huge sky and after that, the desert sand is set alight by the beautiful sunlight. 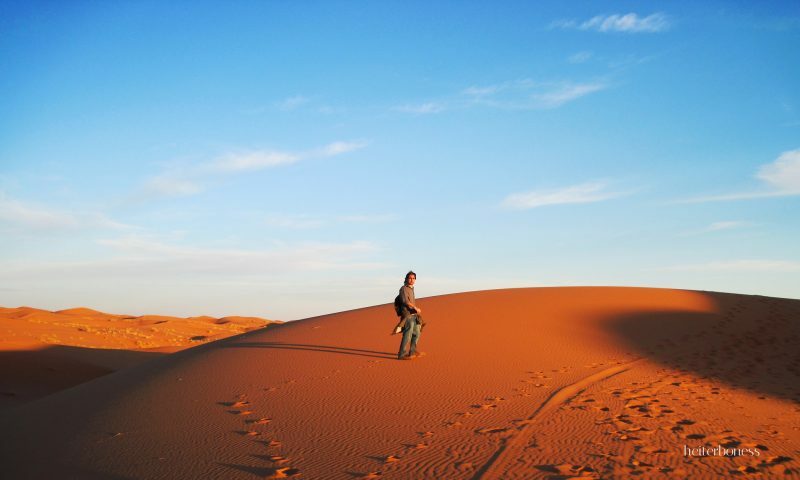 The Merzouga sand dunes or Erg Chebbi can provide you the beautiful experience of watching the desert sunrise. It is one of the top places of morocco. This is filled with the groves of fruit trees, architecture, and friendly people. The sheer mountain walls, rising sun with clear blue sky, and good geological rock formations are the main reasons for the uniqueness of this place. Holidays in Morocco are incomplete without the visit to Dades Valley. Tourists enjoy seeing the valleys of the new places and Draa valley of Morocco serve the purpose. This valley is one of the most scenic journeys in Morocco. 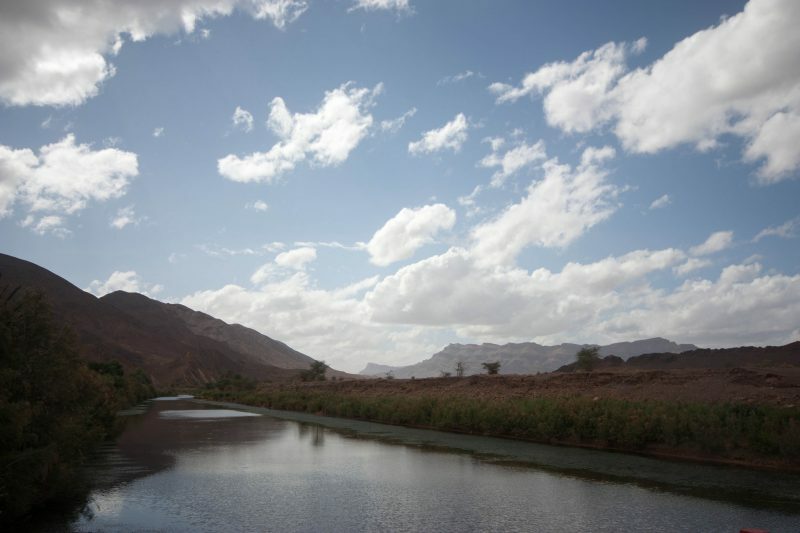 This famous valley is intersected by the Draa River. 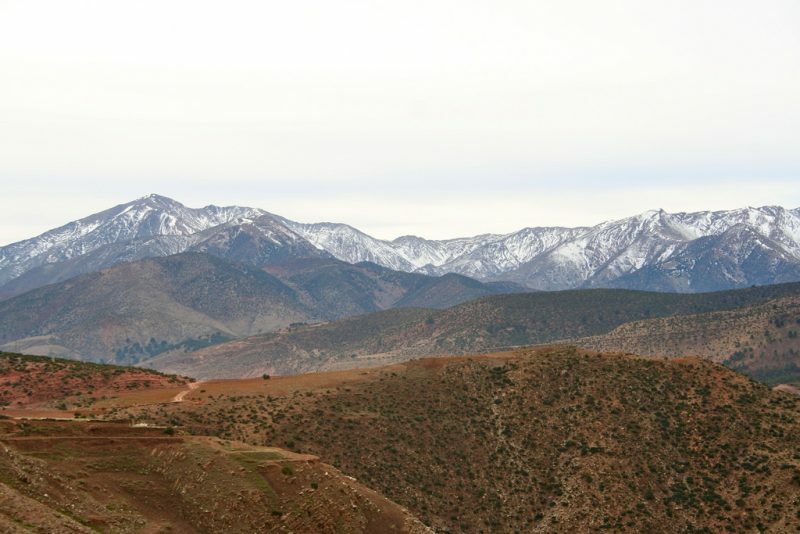 This valley is located in the south of the High Atlas mountains. 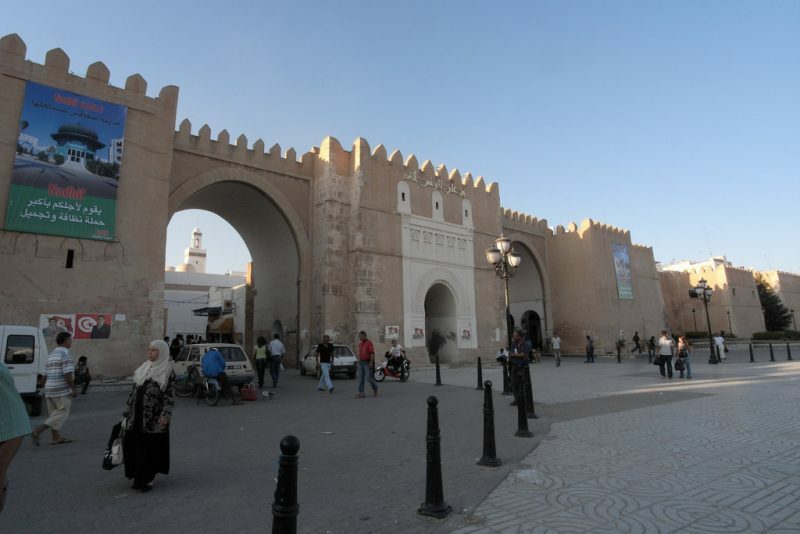 This is another city of Morocco which is liked by the visitors very much. This city has appeared in many movies like Lawrence of Arabia and Gladiator. The reason behind the appearance of this city in famous movies is the beauty of this place. Those who have seen this city in movies must visit this place to enjoy its beauty in reality. In the list of top tourist attractions of Morocco, the name of this place is at the top. Snake charmers and people with monkeys, magicians, peddlers of the medicines (traditional) are usually present in this place to entertain the visitors. This is a very crowded place as people visit this place to spend a quality time with their families in Morocco.